Hidden Jungle. 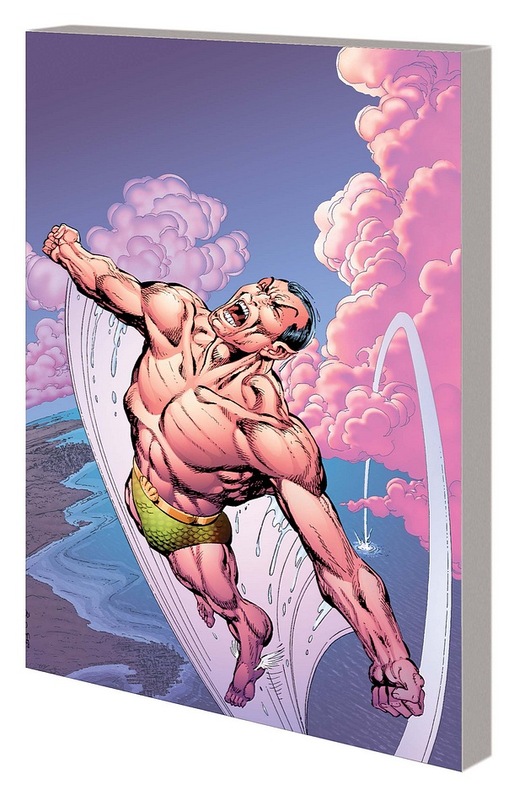 Featuring the showstopping pencils of superstar Dale Eaglesham and the return of a deadly frenemy the Hulk should never have forgotten. Undead teenagers, can’t live with ‘em, can’t shoot ‘em…because they’re undead. Wolverine may be taking on his roughest mission yet as he tries to kick some sense into Jubilee and boy, does she fight back! In his version of Upward Bound, X-Men style, he’s hauled her halfway around the world to get her away from whoever or whatever is trying to frame her for mass murder. But this town’s got a problem that’s going to take their combined efforts to combat, and Jubilee’s pursuer is hot on their trail. Is Miss Sinister the most dangerous enemy X-23 has ever encountered or the closest thing to a friend she has right now? X-23 is about to find out, as just when things couldn’t get worse, they do. Manhattan, Spider-Man reveals to the X-Men just exactly who they are up against. But this doesn’t explain the rash of disappearances of outcast teenagers. Why have they vanished, and what do these kids have in common? The X-Men must use their best detective skills to discover the secret, but nothing prepares them–or Spider-Man–for the surprise villain who is pulling all the strings. Ring in the Dark Reign as Luke Cage’s baby girl goes missing, kidnapped by a Skrull on the loose — and the former Power Man will do anything it takes to find her! Next, it’s an all-out, hero-vs.-villain extravaganza as the New Avengers get their game face on to take down new top cop Norman Osborn’s Dark Avengers — but the former Green Goblin has a chilling surprise up his sleeve! Then, Doctor Strange returns, and the search for his successor begins — but will it be the end of the Avengers? Desperately seeking the inheritor of his power, he reunites with his teammates to discover the anointed one before someone else — someone evil — stakes their claim for mastery of the mystic arts! Plus: The Mighty Thor and both the New and Dark Avengers join forces against the Frost Giant Ymir in a battle that will have terrifying consequences for the Marvel Universe — and for these heroes — in the days to come! 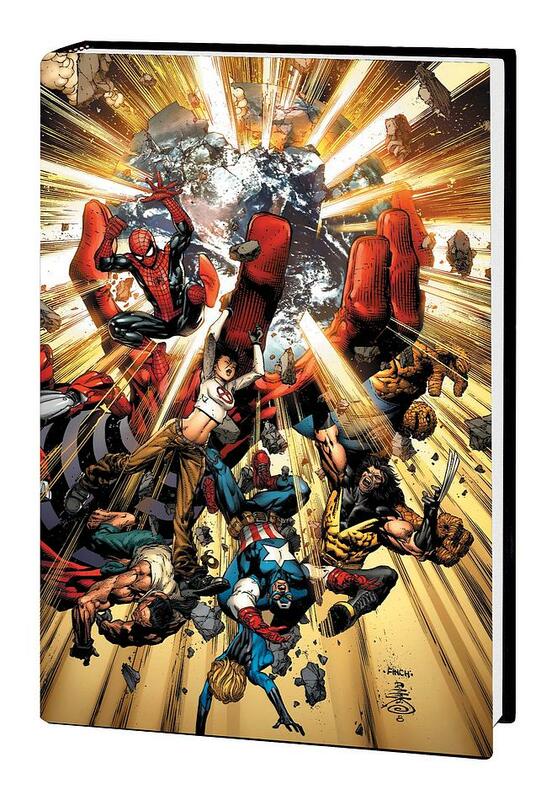 Collecting SECRET INVASION: DARK REIGN, NEW AVENGERS #48-54 and FREE COMIC BOOK DAY 2009: AVENGERS. The end is nigh! Eastern Europe is frozen solid in the grip of a sudden ice age. A tidal wave of biblical proportions mercilessly sweeps through New York City. Millions have been killed and countless more injured or displaced — among them Spider-Man, and members of the X-Men and Fantastic Four. And Magneto is to blame. In the wake of this unimaginable catastrophe, is it a time to repent? Or is it a time for revenge? See Ultimatum through the eyes of New York City’s most gallant defender and two of the world’s greatest super-teams — or what’s left of them, at least! 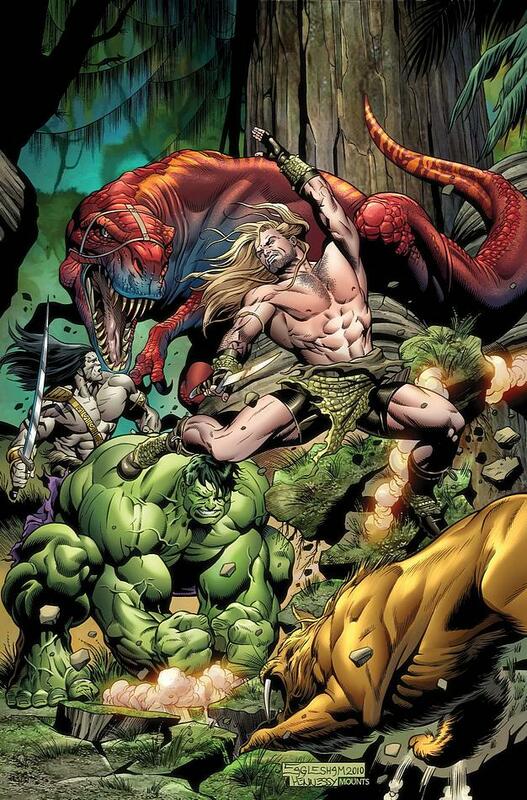 The Ultimate Universe of heroes will truly never be the same. Collecting ULTIMATE FANTASTIC FOUR #58-60, REQUIEM; ULTIMATE SPIDER-MAN #129-133, REQUIEM #1-2; ULTIMATE X-MEN #98-100, REQUIEM; MARCH ON ULTIMATUM SAGA and MARVEL SPOTLIGHT: ULTIMATUM. Captain America and the rest of Earth’s heroes are back from the dead at the hands of Onslaught! But when Cap shows up in Japan, the claws of Lady Deathstrike may send him right back to the grave! Then, the Sentinel of Liberty loses his shield at the bottom of the ocean as Hydra and the Skrulls attack! Plus: Cap faces one of the toughest decisions of his life! Guest-starring Hawkeye, the Avengers and Sharon Carter! Collecting CAPTAIN AMERICA (1998) #1-7. Lock your doors, board up the windows, arm yourselves with stakes and sunlight…and it still won’t protect you when the vampires stalking the X-Men set their sights on YOU! This is one collection with bite! In STORM & GAMBIT, the X-Men have just discovered a means for stemming the vampire invasion of San Francisco — but what they need is in the clutches of the bloodsuckers themselves. Luckily, they have two thieves in their employ that may just be able pull off such a heist! In SMOKE AND BLOOD, the members of the X-Men’s Science Team find themselves in over their heads when a vampire brought into their lab for examination escapes. It’s going to take more than a doctoral degree in biochemistry for them to survive this night! And in BLADE, when someone starts killing vampire slayers all over the world, Blade — the biggest, baddest slayer of them all — gathers an emergency assault team to blitz the bloodsucker underground and force answers out of whoever’s not reduced to a pile of smoking ash! Also featuring eight more all-new tales of horror to sink your teeth into — plus “Night Screams,” from UNCANNY X-MEN #159, the classic saga of Storm’s struggle with Dracula himself by Claremont and Sienkiewicz! Collecting X-MEN: CURSE OF THE MUTANTS — STORM & GAMBIT, X-MEN: CURSE OF THE MUTANTS — SMOKE AND BLOOD, X-MEN: CURSE OF THE MUTANTS — BLADE and X-MEN: CURSE OF THE MUTANTS — X-MEN VS. VAMPIRES #1-2. 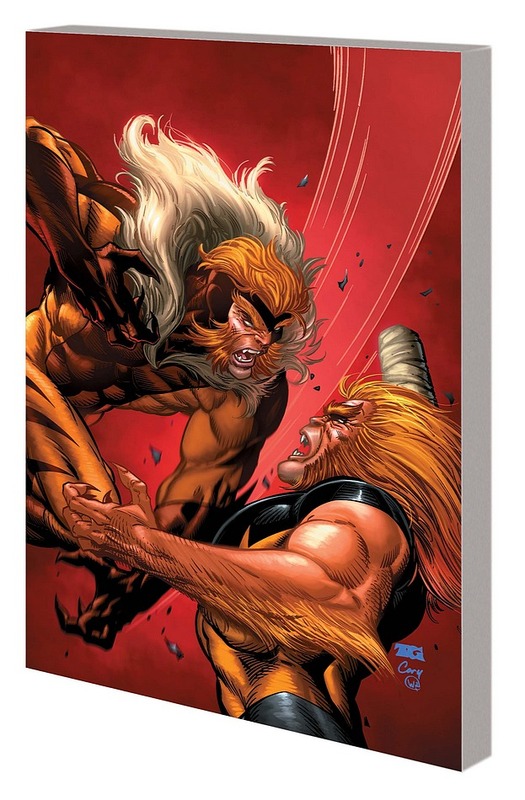 It’s double the danger as Sabretooth fights for his life against…Sabretooth!? The X-Men’s resident bad boy faces off with his Marauder self. He’s blind and down a hand — yet Victor Creed is angling to prove it ain’t the prettier killer who walks away, but the one who’s willing to go the farthest. Just how far will the reformed villain go? 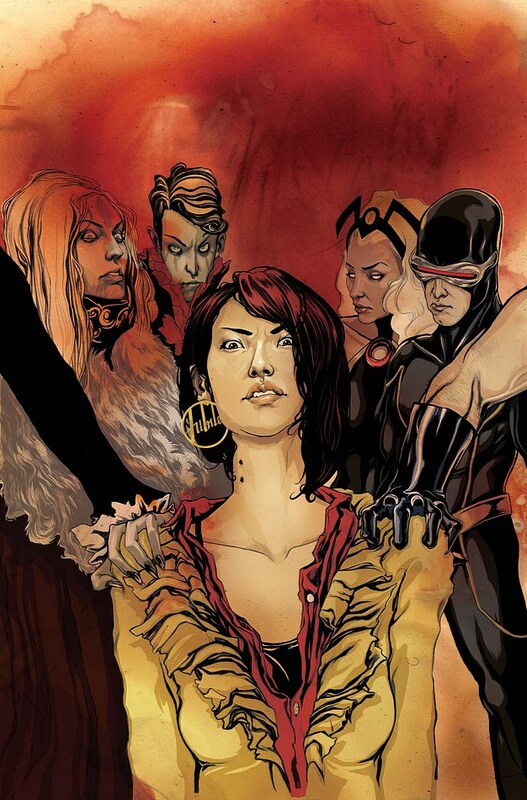 Meanwhile, ever since she got a claw of her own, Kitty Pryde’s been feeling…not herself. To put it mildly. And after barely surviving an encounter with the Marauders’ secret weapon, the young X-Man feels a strange, inexplicable pull towards the land of the rising sun. Of course, it can’t be a coincidence that said secret weapon is also stalking the streets of Tokyo, right? It’s gonna take more than just one claw for Kitty to make it through round two! Collecting X-MEN FOREVER 2 #6-10. An ancient enemy walks the world of Midgard, known to us as Earth. Victory comes at a terrible price — one that will alter forever the very hierarchy of the gods — and thrust the son of Odin into a new and perilous role: Lord of Asgard! Collecting THOR (1998) #36-43 and THOR ANNUAL 2001. For years, the Lizard has struggled to be free of Dr. Curt Connors, the human fighting to contain the reptile inside. Now, the time has come to shed! 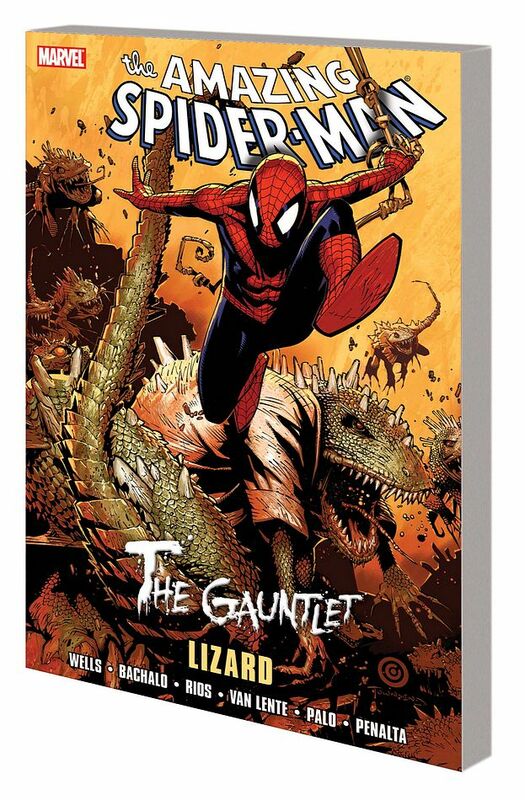 Spider-Man must survive the second coming of one of his oldest foes as the Gauntlet culminates, setting the stage for the Kravinoffs’ Grim Hunt. Collecting AMAZING SPIDER-MAN #630-633, and material from AMAZING SPIDER-MAN #629 and WEB OF SPIDER-MAN #6.